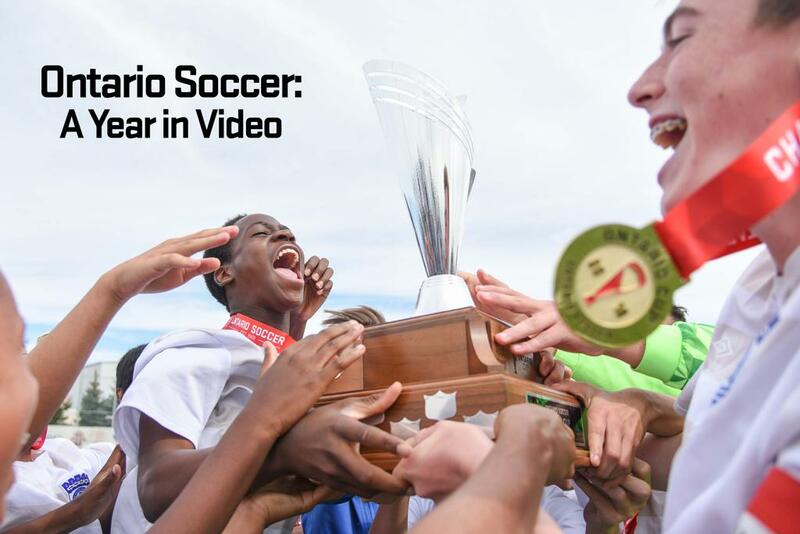 From event highlights - which show the intimate moments of victory and defeat - to the promotional work that highlights the best the province has to offer, video has been the vehicle driving Ontario Soccer's message in 2018. Guests in 2018 ranged from Ontario Soccer staff to TV personalities to Ontario Soccer Summit keynotes. Watch the first seven episodes in this series. Ontario Soccer is proud to release the HUB International Presents - LTOD Practice Series. The 16 videos in this series focus on a variety of drills to help improve a referees performance on the field. Ontario Soccer, through the LTOD program, are providing resources that benefit the match official on and off the field of play. A match official that is fit and educated will enhance the experience of players, coaches and spectators. Ontario Soccer's partners weighed in on the benefits of working with the provincial game and how we're helping them Play. Inspire and Unite in our communities. The OPDL is a standards-based league designed to cater to the development of its athletes, coaches and match officials alike. The league places a high emphasis on competition and development making it the only league of its kind in the province of Ontario. Athletes from the ages of 13-17 benefit from high-level training, coaching and competition in order to help them evolve in their athletic career. Hear from athletes, coaches and match officials in the OPDL about how they use the league to develop in the soccer space and reach their goals. The top soccer athletes in Ontario were in action that weekend as the Ontario Soccer Centre played host to the Ontario Player Development League (OPDL) Charity Shield. The U-15 OPDL Cup finals took place at the North London Athletic Fields as part of the Ontario Summer Games in 2018. The Ontario Summer Games serves as the initial assessment platform for future athletes in the Canada Games and the Olympic Games. The U-17 OPDL Cup finals took place at the Ontario Soccer Centre. L1O Extra, the League1 Ontario Magazine series, took a closer look at the players, teams and stories that were driving the narrative for the pro-am outfit in 2018. The 13 editions found their way to all areas of the province as it showcased the evolution of the season and the development of the next generation of stars in Ontario. The League1 Ontario Top 5 Goals of the Year were voted on from an initial selection of 30 top goals from 2018. The individual winners were then selected by League1 Ontario staff and team coaches and announced at the year end banquet. The Ontario Soccer Summit, presented by Respect in Sport, was another rousing success in 2018. The Ontario Soccer Summit, which provides development opportunities for coaches, match officials and soccer leaders across Ontario, attracted over 500 delegates from across the province and Canada to hear from luminary speakers in the sporting world such as John Furlong, Andrea Shaw and Dr. Stephen Norris. Click here to find out more about the 2019 Ontario Soccer Summit. Ontario Soccer spent an evening honouring the outgoing Board of Directors for their hard work and commitment over the years. Honouring all the volunteers that give so much to our game and show us how to Play Inspire and Unite in our communities. The Centre Circle Awards 2018 are proudly presented Nothers Signs and Recognition. The Ontario Soccer Centre celebrated 20 years of operation by unveiling a new look for the brand.